LED Filament GLS Lamp 4W BC 470lm A++ is rated 3.4 out of 5 by 5. Rated 5 out of 5 by RoyL from Good bulb, good price Have been replacing old CFLs with LED bulbs. 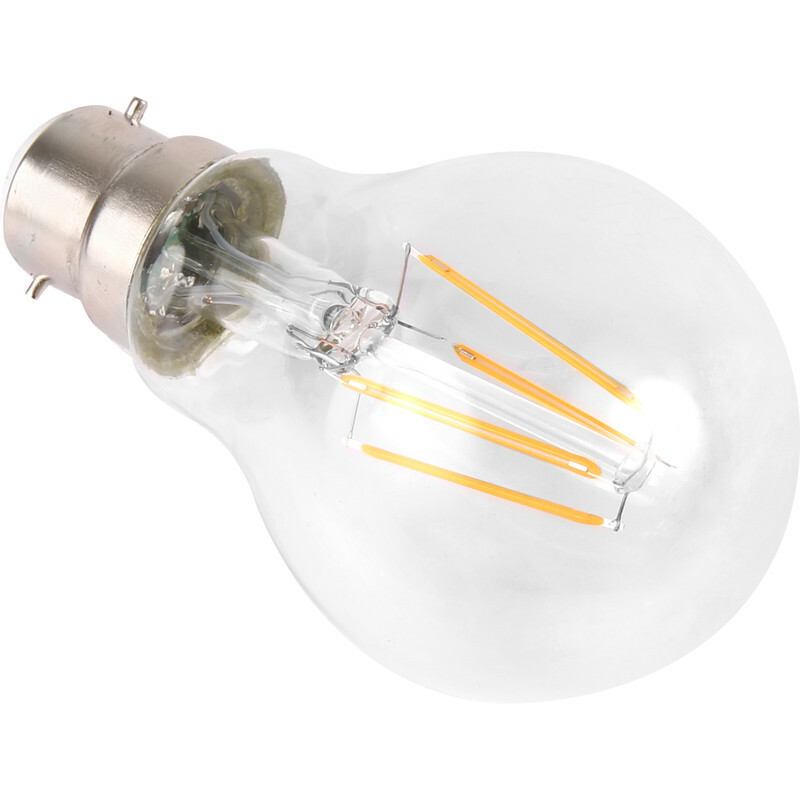 I prefer the filament type LED bulb as they've got wider cone angles than the other types. The first filament bulb I got from somewhere else - it was twice the price of these ones and lasted three weeks. Have bought several of these bulbs now and they're great - good performance, good price and they've lasted well so far. Rated 1 out of 5 by mem1 from Tripped RCD This bulb tripped the house RCD when it was turned on. There is clearly an internal short between the contacts and the bayonet fitting. Will be returning it to Toolstation. Rated 5 out of 5 by diycrazy from Great bulb I have replaced the bulbs in all my lamps with these particular ones after recommendation from an electrician, so pleased I did, they give a wonderful light whilst being energy saving. Toolstation delivery was fast, they were well packaged and at the best price I could find. Will definitely use this company again for any further requirements. Rated 5 out of 5 by pete from Bright, instant, no flicker, cheap to run. These are so good I actually complained that there was no review system to leave positive feedback. Now I have my wish.